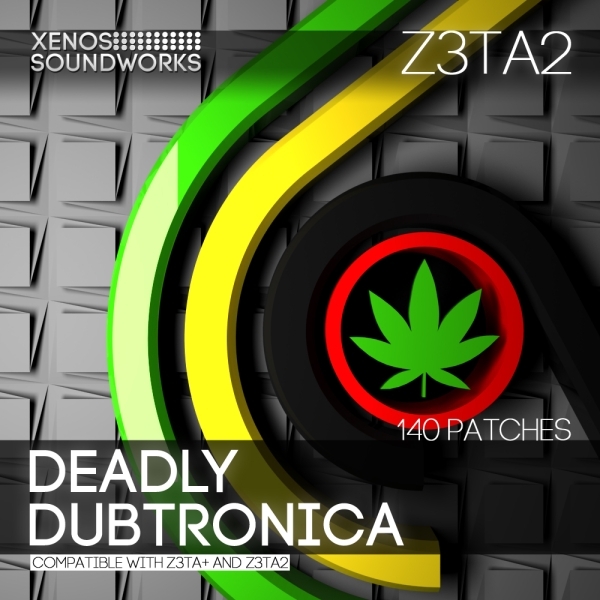 'Deadly Dubtronica' by Xenos Soundworks contains a total of 140 powerful and moody patches inspired by artists as Proxima, Ruckspin, Digital Mystikz, Burial, Hybrid, Zomby, Kromestar, Mala, Kode9, 12th Planet and more. Z3ta+ and Z3ta 2 owners will find plenty of material here for their Deep Dubstep, Breakbeat, DnB and Future Garage/Ambient-Dub tracks. Bryan 'Xenos' Lee has worked as a sound designer for such companies as Cakewalk, Rop Papen Inspiration Soundware, ReFX, Camel Audio, Image-Line and many more. His work is found in the factory presets of such synths as Z3ta 2, Alchemy, Gladiator, Punch, Toxic Biohazard, Scanned Synth Pro 2, Chipsounds, U-he Hive, etc.